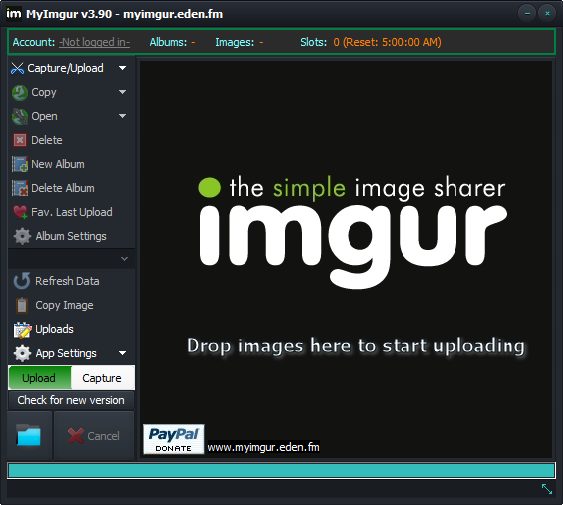 @aurel211252: MyImgur is a tool for uploading pictures to Imgur website, not downloading them. RO: MyImgur este o aplicatie pentru urcarea pozelor pe site-ul Imgur, nu pentru copierea lor de acolo. @stfly: Not yet, no. But it's on the "to do" list from what I've understand. But it doesn't support uploading into your account if you are registered with imgur.com! In "Settings" disable the "Context-Menus" and select "Use Custom Folder" for "Capture Folder Options".